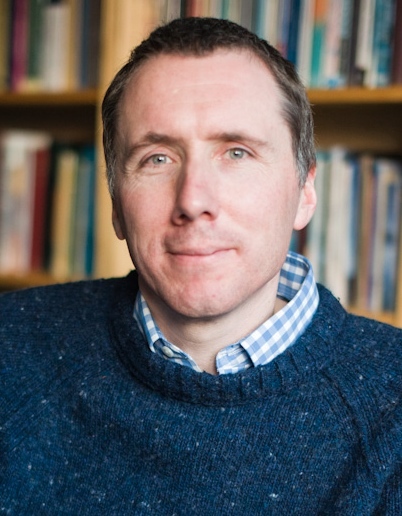 – Tim, you’re probably one of the most prolific British Christian authors around. And yet I’ve heard you say this particular book might be your most important. Can you tell us a bit about Enjoying God – and why you feel that way about it? Well, the word ‘might’ is significant because it’s not really for me to judge. But I hope the book says something fresh that can really make a different to our relationship with God. We talk a lot about enjoying God. If someone is struggling with temptation or bitterness or longing or emptiness then we call them to find joy in Christ. Rightly so. But what are we do to do with this exhortation? It makes a fine climax to a sermon, but what I am supposed to do next? Is joy an act of the will or even an act of make believe? What I’m trying do in the book is help Christians have a strong sense of living in relationship with God in the everyday stuff of life. The central ideas are not novel. To be honest, I’ve nicked them from the Puritan John Owen. But they’re not often talked about today and think they have the potential to make a powerful difference in people’s lives. – Bible-believing Christians will often say that the gospel has brought us into a ‘right relationship with God’ – and yet you point out that we’re not very good at talking about what that relationship looks like in everyday life. Why do you think that is? The central idea of the book is that a vital step in enjoying God is to think about how God the Father is relating to us and how we can respond, how the Son is relating to us and how we can respond, and how the Spirit is relating to us and how we can respond. This is what the book then tries to do. The reason this is important is because it’s hard to relate to God as a generic entity. Christian theology has always said we can’t know God’s essence. As it happens, I’m writing this in Hong Kong airport on my way home from a conference in Australia. On the plane I’ve been reading a book on the attributes of God in which lines up a series of theologians across the centuries who are all making precisely this point. We have nothing in our experience that enables us to have any sense of the ‘godness’ of God. But – here’s the good news – we can know the persons of God. The Father, Sons and Spirit exist in an personal relationship of joy and in Christ we are able to enjoy that relationship by relating to the persons of God. This is Owen’s big idea in his book Communion with God. It’s heavy duty theology, but it cashes out in a very simple principle: think about how the Father, Son and Spirit are each relating to you and how you can respond. That’s a long-winded way of answering your question. What it boils down to is people find it hard to relate to God when they’re relating to him as a generic entity – a being beyond comprehension. – In Enjoying God, you underline the importance of relating to God as Father, Son, and Spirit – rather than just ‘God’. How do we know ‘who to relate to when’ – and what might you say to someone who is who feels this is ’splitting up’ the Triune God? Good question. Having just stressed the three-ness of God, let me now stress the one-ness of God. The three persons are one being so to relate to one is to relate to them all. In other words, as soon as you think about relating to the Father you inevitably start thinking about how we relate to the Father because we are ‘in’ the Son. That means our experience of God is the experience of the Son – that is, the love of a Father. Moreover, God sent the Spirit to enable us to cry ‘Abba, Father’. As a result, the objective reality of being a child of God becomes a subjective experience in our lives. All this means that by thinking about their distinctive roles, you find yourself actually connecting with the one triune God. – At the end of each chapter, you include an ‘action point’, as well as ‘discussion questions’. It struck me that Christian books will often have discussion questions – but what made you include an ‘action point’? It’s something I did in my book You Can Change and many people have told me how helpful they found it. I really, really want Enjoying God to help people see how God is at work in their lives day by day in all the nitty gritty of life. When many people think about experiencing God they think of an emotional experience in corporate worship or perhaps hearing God speak in some way a voice. Often people don’t really experience either these very much and so God feels rather distant to them. What I want to show people is that the triune God is intimately at work in our lives in many different ways all the time. Our experience of God is much bigger and richer and fuller than those kind of moments. I want to use the Scriptures to open the eyes of our faith to see God’s involvement in our daily lives. – You say that one of the principles underlying your book is understanding the difference between our union with God and our communion with God. Can you unpack this further and show us why we need to understand both? Again, this is something John Owen says. I don’t want to get hung up on the terminology, but the distinction is really important. Union with God in Christ is all God’s work from start to finish. That means our relationship with God is something we not achieve, nor something we can ruin. It’s all of grace. This is the foundation of our relationship with God. Communion with God describes the two-way relationship into which we’ve been saved. What we do really does make a difference to our experience of God. This gives us a great incentive to see God at work, listen for his voice in his word and pursue him in prayer. But all the time we have the great assurance that our relationship rests secure on his grace. – I’ve heard a few people say recently that in our post-Christian culture the church needs to have a ‘thick’ spirituality that embodies our faith. How important is it that Christians in a post-Christian society are actively ‘enjoying God’? Well I’m not sure how to quantify the importance. What units of measurement did you have in mind? But I do think it’s important. 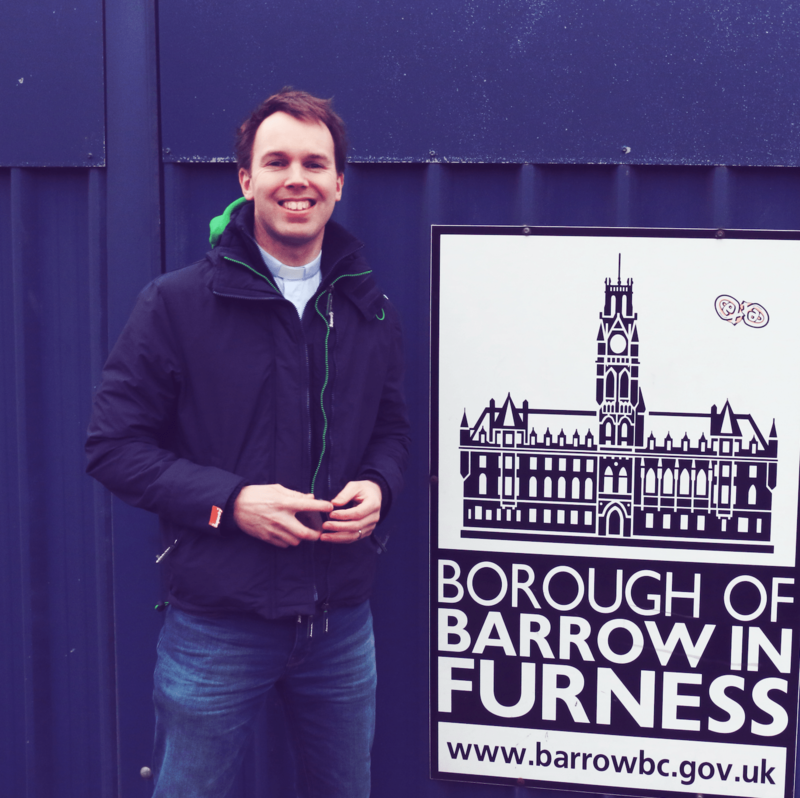 It’s important for us if we’re to survive in the face of increasing hostility and scepticism. And it’s important of the watching world. People often don’t want to engage at the level of what is true. But they are looking for something. Our culture is, as the philosopher Charles Taylor says, still haunted by transcendence. A deep sense of the triune God’s involvement in our lives, together with the joy this brings, has the potential to be a powerful apologetic for the gospel. 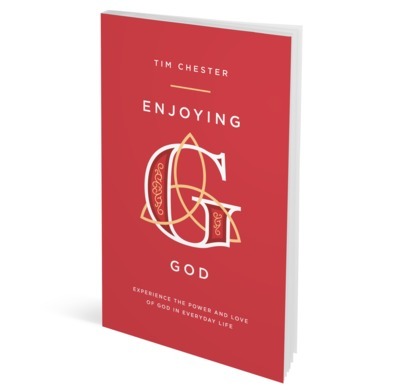 You can download the first chapter of Enjoying God for free here, or pick up a copy of the book from the publisher here. Q. So Barry, in a nutshell, what’s DE all about? A. We know the things we’re supposed to do as disciples – read the Bible, go to church, pray, love one another, share the gospel – but why does it often feel so joyless? It’s because we are so often focused on the things we’re supposed to do rather than the One we’re supposed to be following. Discipleship Explored is a film series, grounded in Paul’s Letter to the Philippians, which gets us refocused on Jesus. A. Emotionally, I think, it’s much more resonant. The eight sessions have been completely re-written, and the films are all new. It’s simpler and more streamlined: each session focuses on one passage from Philippians instead of two. There’s a greater focus on union with Christ, which is so key to Paul’s thinking (hence all the session titles ending in “In Christ”). There’s now the opportunity to learn prayer from the lips of Paul, as we pray model prayers based on Philippians. And the films also now feature interviews with believers all over the world – sometimes persecuted believers – whose lives have been radically changed by Christ. Q. Most people seem to have generally used DE as a follow-on to Christianity Explored, pitched at those who have made a commitment to Christ. Is that still the case with this version? Who is the target audience? And how does that relate to Life Explored? A. I’m keen to say that you can use DE completely independently of LE and CE. You don’t need to have run either to use DE, though of course people who’ve experienced either LE or CE will be right at home with the Handbooks and general feel of DE. The target audience is Christian men and women, whether they’re new followers of Christ or veteran. That said, if a non-Christian turns up, I wouldn’t turf them out. Q. You mentioned the new addition of the featured interviews in eachepisode. Tell us about the vision behind that? What prompted that and how did you go about deciding who to interview? A. The interviewees are friends, or friends of friends. Judy, for example, is my old professor of counseling, and she is just a riveting story teller and Christian communicator. Simo is a Serbian evangelist whose hair-raising story I’d read on a blog, and who we were put in touch with by a mutual friend. The director Stephen McCaskell had friends in the Middle East who’d fled ISIS. We wanted a broad representation of believers, in terms of gender, ethnicity, age and so on. But the main reason was to bring an element of personal story into the films. We wanted to show what it looks like to live out Paul’s letter “on the ground”, especially under conditions of opposition and persecution. Q. As you teach and speak at churches in the UK and the US you must get a sense of the discipleship scene in the Western church. What are your reflections on strengths and weaknesses – and how has that impacted upon DE? A. Generally speaking, I’d say there’s a lack of depth in the way we disciple others, and ourselves. The analogy I use is the one of the dancer who’s dancing with grace and joy and rhythm. As you look closer, you see what drives all this beautiful movement: she has her earbuds in, she’s hearing the music she loves best in all the world and it’s transporting her. She is captivated and enthralled by it. It’s almost as if she can’t stop dancing. Now imagine a second person walking into the room. She looks at the dancer and thinks: ‘I’d love to be able to dance like that! But she can’t hear the music. So she tries to copy the moves – the technique. And it actually seems to be working, at least for a time. But because she hears no music the movement is clunky, hesitant and self-conscious. She doesn’t seem to enjoy dancing the way the first dancer does. And before too long she’s exhausted – even though the first dancer is still going strong. So much of our well-intentioned disciple training is actually forcing people to be that second dancer. Telling them to copy all the right moves – read your Bible, pray, go to church, share the gospel – while doing relatively little to help them hear the beautiful music that must drive it all. What would it look like if our discipling of others (and ourselves) was less an act of technique-teaching, and more an act of turning up the music? What if it were less about mastering, and more about being mastered? What if our focus was on captivating and enthralling would-be disciples with the music of God’s surpassing love for us in Christ? A. It ties in with the dancer analogy, I think. Without being captivated by Christ and his surpassing love, the Christian life is at best a dutiful trudge. There’s little grace or enjoyment or energy. I want people to leave DE not feeling weighed down with a long list of things they have to do, but with a lightness, a happiness, as they reflect on what Christ has done, and who they are “in him”. Q. September 2016 saw the launch of Life Explored, the third member of the Explored trilogy, which you co-wrote with Nate Morgan-Locke. The take-up on that seems pretty significant. As you & Nate planned and produced DE, how did the response to LE factor into that? A. The biggest lesson we learned from developing LE was the importance of story and narrative in communicating the gospel compellingly. That’s a relatively easy thing when you’re working with narrative texts in the Bible (as we mostly were with CE and LE). But what about a pastoral letter like Philippians? That got us thinking about ways we could improve DE. And as a result, story has found its way into DE on a number of levels. There’s the story of how Paul came to be in Philippi, and the story of his relationship with them. There’s the story of our trip around the world as film crew. There are the personal stories of each interviewee. And even as a presenter, there’s much more that is personal and biographical in this version of DE. Q. Practically, for someone who likes the sound of DE, what are the options for how they might use it? A. It’s as flexible as you are. Run it one-to-one, in small groups, in large groups – you can even do DE as a solo study. You can run each session if need be in under an hour, so that also makes it useable in dinner breaks at school/work. Q. Finally, what’s next? Is there another Explored brewing in your brain? Marriage Explored? Church Explored? America Explored?! A. It’s the end of an era for me, as I move on from Christianity Explored Ministries after twenty odd years. And who knows what the future holds. 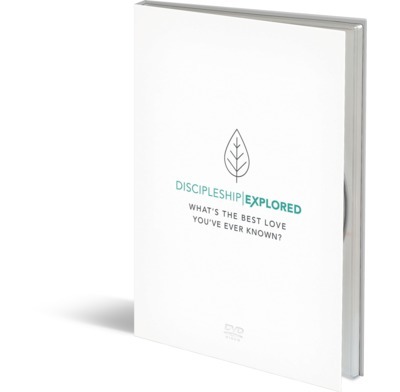 You can pick up a copy of Discipleship Explored from the publisher here. 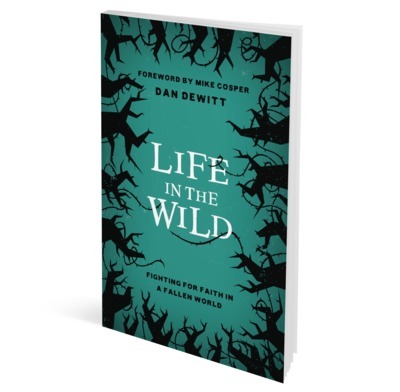 Life in the Wild is a refreshing little book from new author Dan DeWitt, Associate Professor of Apologetics & Applied Theology at Cedarville University, Ohio & Director of the Center for Biblical Apologetics & Public Christianity – but please don’t let that long title put you off! The bottom line is that DeWitt is a shrewd observer of life, a riveting Bible teacher, and a really good writer; he is both funny and creative, and in LITW he has crafted a compelling companion for living as Christians in this broken world. That’s what the title is getting at: ‘the wild’ is his way of describing the realities of life here-and-now, full of the joys and sorrows of a good world marred with suffering and sin. DeWitt seeks to make sense of why the world is the way it is, and shows just how important it is that we go through life with our eyes open. And yet DeWitt also manages to steer clear of cliche and well-worn descriptions; the book is littered with delightful illustration and a turn of phrase that really captures and brings home biblical truth. There’s similarities in style and aim to C.S. Lewis, N.D.Wilson and Andrew Wilson, but to be honest, there’s not many books quite like this. Q. Dan, in Life in the Wild you speak of the need for Christians to look at this world with both realism and hope. Can you give us a snapshot of what led you to write this book? A. I gave a talk to a group of college students, mostly from a local secular university, several years ago in which I was asked to speak on the problem of evil. I really didn’t want to do a philosophical discussion of the issue, though there are some really powerful philosophical arguments in favor of the Christian worldview. Rather, I wanted to simply read the first few chapters of Genesis and ask the question, “If this account is true (as a Christian I of course believe it is) then what should we expect the world to look like?” I outline seven effects of the fall that I think flow naturally from the text. Over the years I’ve returned to those seven effects of the fall from Genesis 3 many times in helping Christians think through pain and suffering and evil in the world. 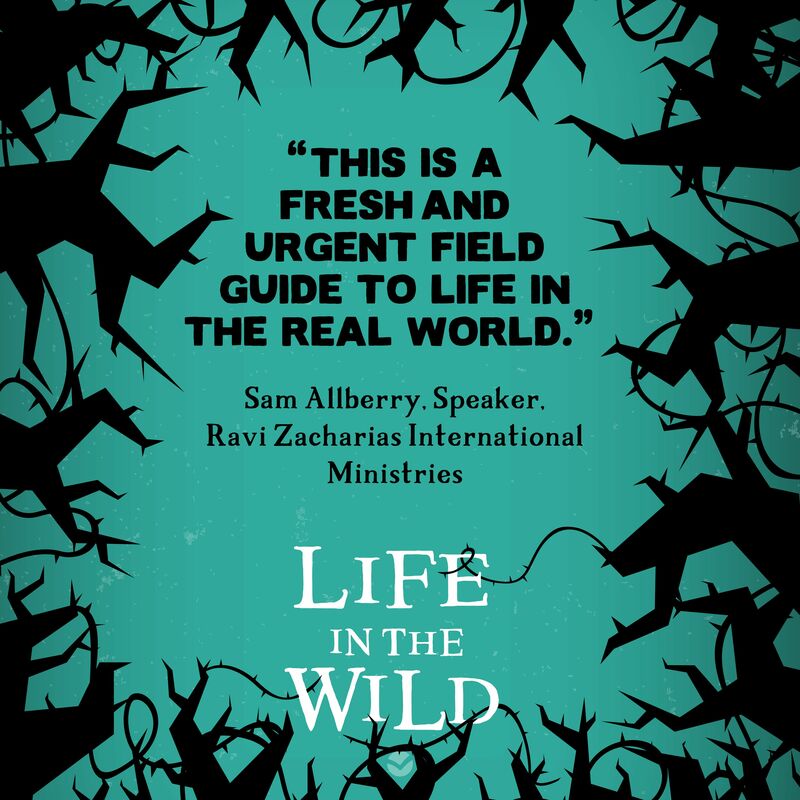 Q. Sam Allberry described the book warmly as a “fresh and urgent field guide to life in the real world”. Is that what you were hoping for as you wrote it? A. Absolutely. I hope that it is a helpful to resource to use the Bible as a way to understand our suffering in a fallen world. We need to inform both our grief and our hope by what the Bible has to say about life in the wild. Q. The early chapters of Genesis are perhaps sometimes known simply as being a source of controversy amongst Christians. So to some it might seem odd to spend a whole book camped out in one of those chapters, Genesis 3. Why did you choose to do that? A. I wanted to focus on the big picture of Genesis and not some of the controversies about issues related to the age of the earth or something like that. I think the primary purpose of every creation passage in the Bible is to demonstrate authorship and ownership. God is the creator, owner, and sustainer of all. Our rejection of his authorship and ownership is the reason that we are living in a fallen world. Understanding the effects of our rebellion, our sin, is what my book is about. Q. In what ways do you think the church has misrepresented the challenge of living in a fallen world? A. I think we see a religious misrepresentation of living in a fallen world anytime tele-evangelists talk as though faithful Christians won’t face suffering, illness, or financial distress. You have to wonder if the kind of people who say such things have ever read the Bible. The Bible is a book of suffering, from Gen. 3 to the end of Revelation. But I also think well-meaning, Bible-believing, church-attending, Christians can sometimes misrepresent this unintentionally by a lack of transparency in community. When people think we never have a bad day, are never tempted, are never depressed, are never fearful, et cetera, then we can give a rather skewed picture of the Christian life. Obviously we don’t want to air all of our dirty laundry every chance we can get, but there needs to be a way in which those around us see us wrestling to live out our hope in Jesus even when things go badly. Q. How might the message of Life in the Wild help us as we think evangelistically about engaging our neighbors and the culture around us with the gospel? A. For starters I think it should make us a whole lot more empathetic. We are all broken people living in a broken world. Secondly, I hope it serves as an encouragement to look for ways to help one another. In our service we may win the opportunity to point others to the source of hope we have found in the wild. Lastly, I hope that understanding the robust explanation of evil and suffering from Genesis can provide a biblical apologetic in conversations where people are trying to figure out why bad things happen to good people and good things happen to bad people. Q. You’re involved in training people for Christian ministry. Why do you think it’s important for pastors to help Christians have an understanding of ‘the wild’ and where we are in God’s story? Any wisdom for those in pastoral ministry on helping people in this area? A. I think we need to remind ourselves of the big story of the Bible often. When we look at the the big picture that God has a design for our world, we’ve fallen from this design, flourishing is found in pursuing this design, and one day God will return to restore his design. We see the opening and closing acts of human history in the Bible with creation and then the Lord’s return. We are living between divine acts, waiting in the wild for God’s design to be restored. That means the needs for Christian ministry are massive. We are broken people living in a broken world. But the resources for the believer are greater still, God provides grace to meet our needs as we wait for him to make all things new. It doesn’t make things easy, we still grieve, but we grieve with hope. You can pick up a copy of Life in the Wild from the publisher here. Full disclosure: The publisher sent me a free copy of this book, but I hope this is still a fair and honest review.